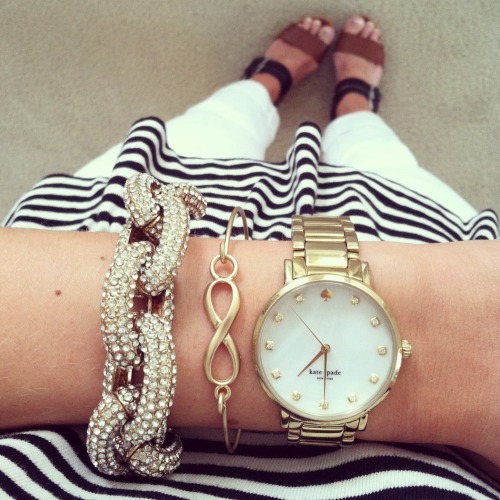 A huge trend for a while has been stacking up your bracelets. Personally, it is an odd occurrence for me to leave the house without bracelets on. 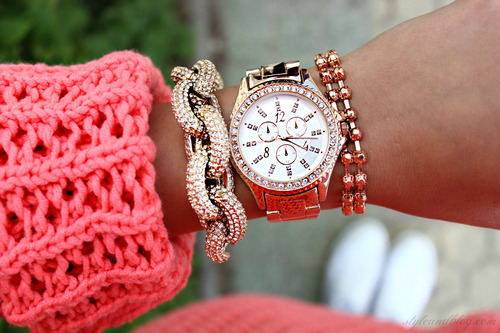 Bracelets are a great way to show off your personality. 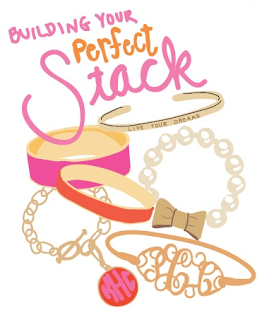 So, show off your style by your stack! If you are a boho girl pick bracelets that have a lot of leather details. Wrap bracelets are your friend. They are great to layer and they create a lot of different textures. Lets say you are more of a glamour girl. 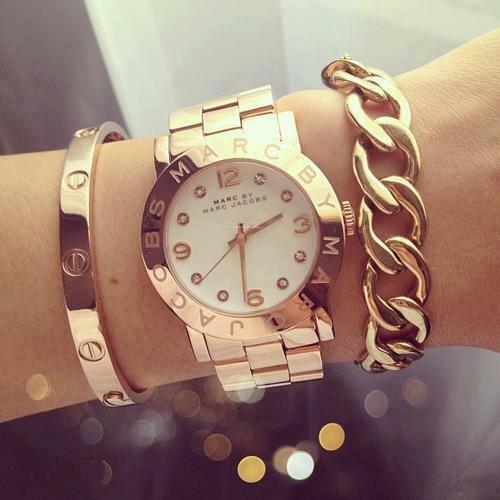 Pair a big junky watch with delicate rhinestone bracelets and bangles. Pick your favorite metal whether it be rose gold, gold, or silver. Or you could even mix your metals to create an extra metallic look. But, what if you are more on the edgy side? Well layer bracelets featuring details like studs and spikes. The metals you should stick too are gun metal, silver, and gold. 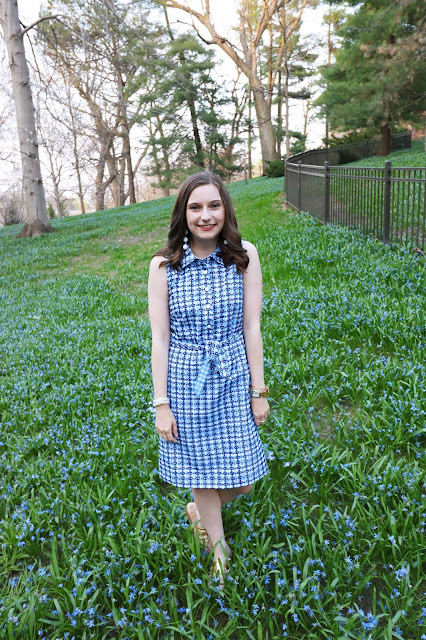 For the ultimate girly girl practically anything Kate Spade is perfect. 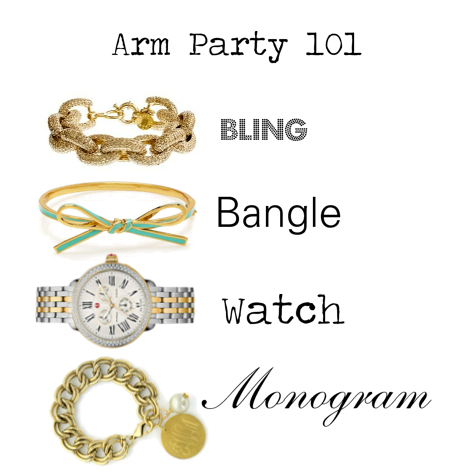 But layer on the bows, sparkles, and fun idiom bangles to create a super girly look. For all the preppy girls here is your ideal stack. 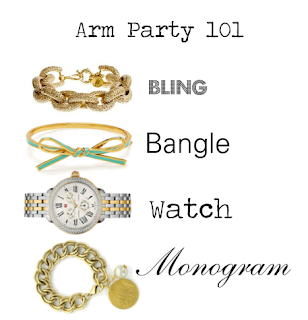 Basically, add your favorite bangles and bracelets along with a chunky watch and something monogram (obvi).